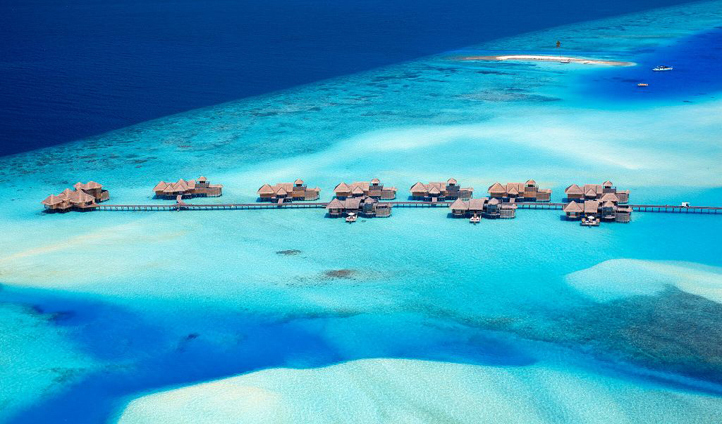 See our favourite experiences and destinations for a luxury honeymoon to the Maldives. 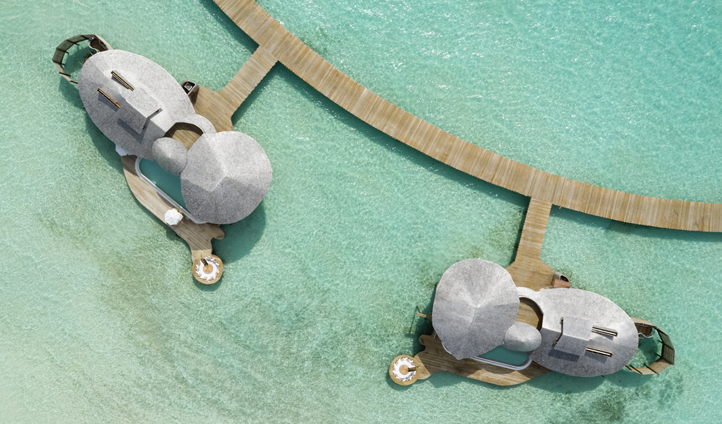 Honeymoons and the Maldives. 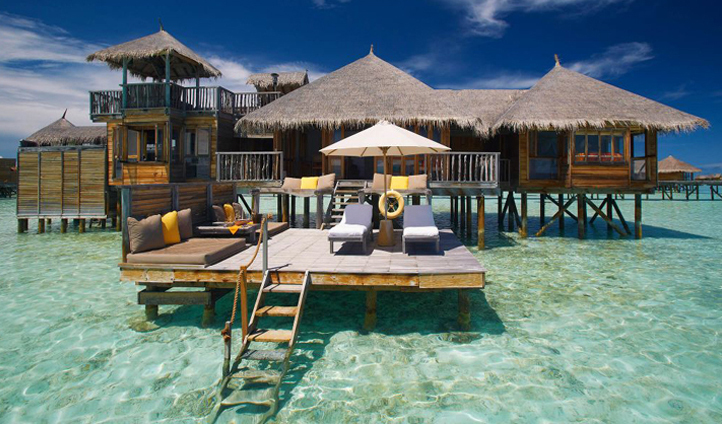 The Maldives and honeymoons. Two things almost synonymous with each other. When looking for spellbinding romance, they are the first port of call for many – including us. Whether it’s the idyllic seclusion of tiny islands dotted amongst gleaming atolls, the effervescent hues of otherworldly sunsets or the magic of crystal clear waters that hide an entire world of colour, we couldn’t tell you. What we can say, is that this is a paradise like no other. It is a place so disconnected from the everyday world, you’ll forget it exists. It is a place where time stands still as you feel the warmth of the sand between your toes. Whether you’re swimming with whale sharks or balancing your chakra at the spa, dining beneath the stars or cruising aboard a traditional dhoni, the Maldives is a place you could never describe as boring. Adventure and discovery are quite literally at your door as you wake up in iconic overwater villas and dive on into the tropical waters of the Indian Ocean. Sound perfect? That’s because it is. The waters of the Indian Ocean stretch as far at the eye can see and within them lies never-ending opportunity for discovery. Whilst we love diving off the private deck of our villa into the house reef, sometimes, you’ve got to take things up a notch. This is your honeymoon after all. 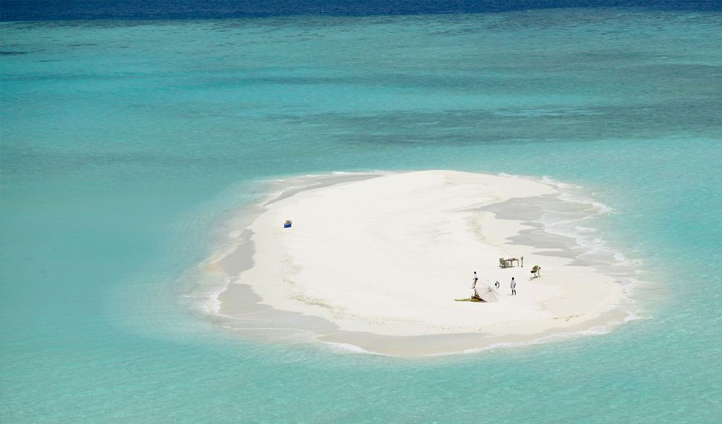 For an unforgettable experience like no other, you can’t beat being marooned on your own private sandbank, with just a picnic hamper and a snorkel and mask. Spend the day in splendid isolation, discovering tropical reefs, basking beneath glorious sunshine and sipping on perfectly chilled champagne. 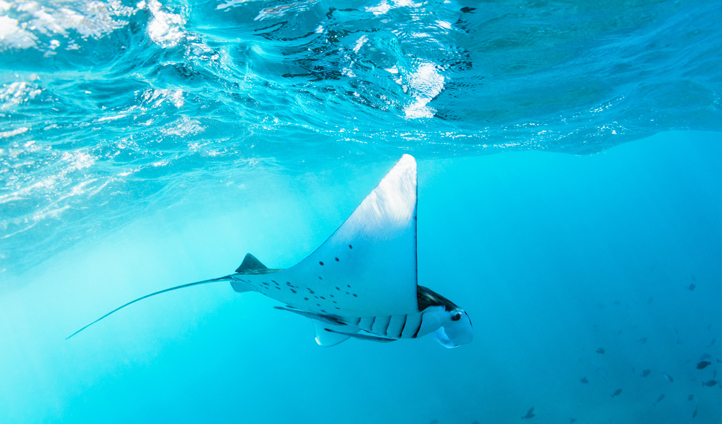 Snorkelling amid these waters you’ll see all sorts of incredible marine life, but one that frequently tops snorkelers’ must-see lists is the manta-ray. A gentle giant if ever we did see, these mighty rays call Maldivian waters home (lucky them) yet can prove somewhat elusive. Fortunately for you, with expert marine biologists on hand, the mantas are quite literally a phone call away. Once spotted, the team will give you a call and before you know it you’ll be speed-boating off to all four corners of the lagoon to dive in for an unforgettable snorkelling trip with a difference, as you help to track and protect these beautiful creatures. Evenings in the Maldives are all about flickering candlelight, sand between your toes – and movies. 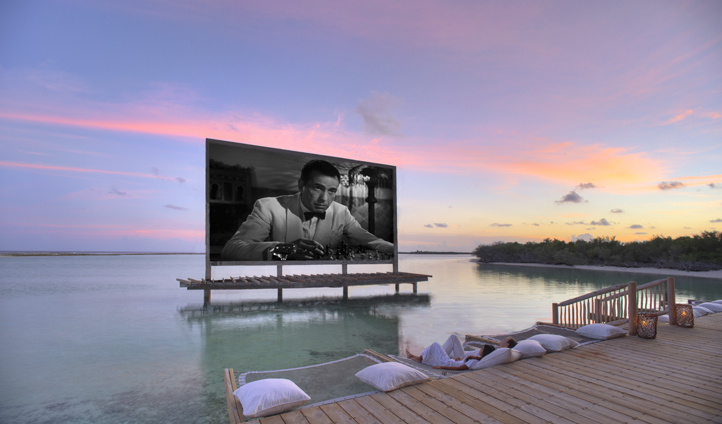 It may sound surprising, but the Maldives is home to some of the best (in our opinion) cinemas in the world. Floating above the lagoon or buried within tropical jungle, but always backlit by starry night skies, you pick the movie and we’ll do the rest. 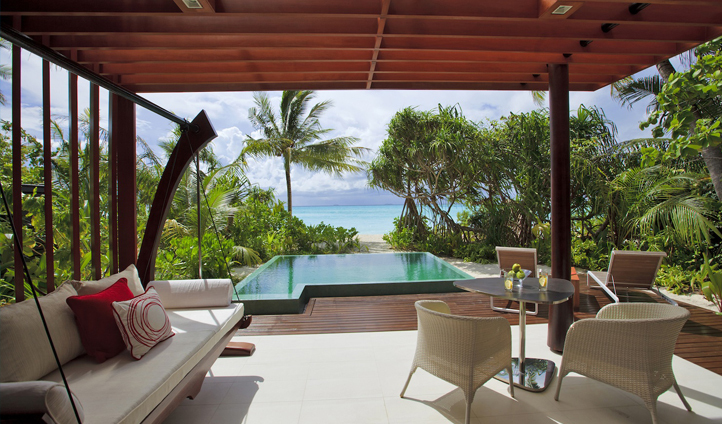 Walking into your private overwater villa at Soneva Jani, it would be quite easy to cocoon up inside and never leave again. We wouldn’t blame you. Barefoot chic interiors open up onto expansive decks complete with infinity pools, sunken dining and overwater lounging – but it doesn’t end there. Slides that curve into the ocean and roofs that slide back to reveal twinkling night skies make for one magical getaway. The Maldives is undeniably the place to go for private islands, but at Niyama they take it to the next level with not one, but two, to enjoy. Spend your days flitting between the two as you dive beneath the waters of Play and wind down in the Drift Spa of Chill. 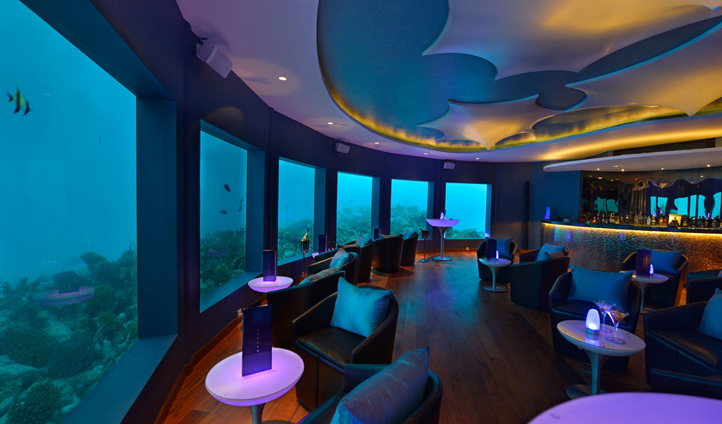 Niyama has been designed with every kind of honeymooner in mind, from those who want to dance the night away in an underwater club to those who’d rather gaze into each other’s eyes over a private beach dinner. All you need to do is sit back and relax – and bring back some envy-inducing stories. In a place like this, that shouldn’t be too difficult. 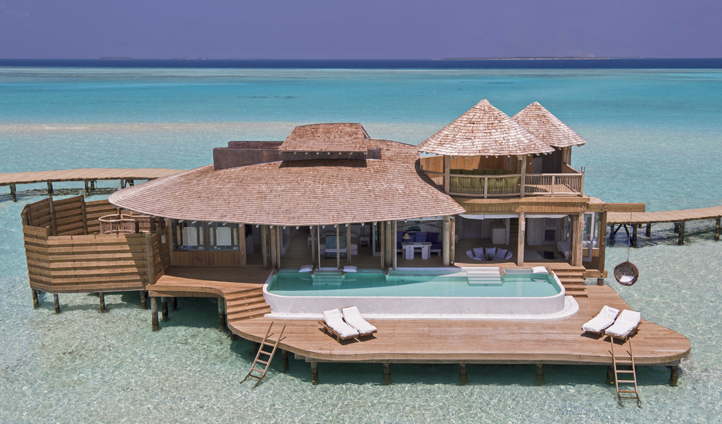 Ready for your luxury honeymoon to the maldives?